August 2 celebrate their holiday Airborne troops. Especially for the event company "MTC Souvenir" theme presented a souvenir, which will be an unforgettable experience for the soldiers. Marines "Nobody but us" - the vital principle of people who at all times and under all circumstances remain strong, courageous and brave. Therefore, they have inspired us to create this exclusive gift. 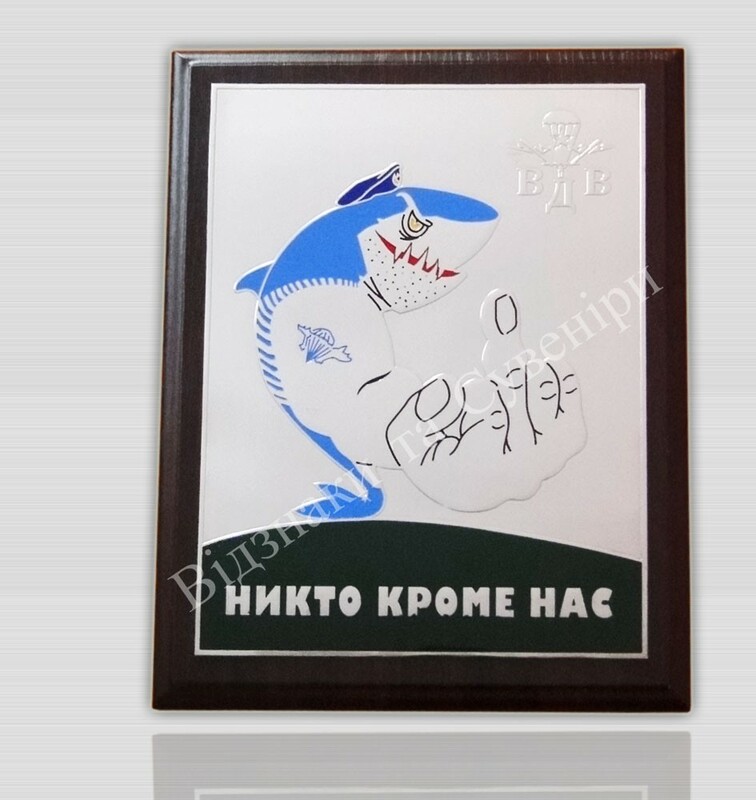 The diploma is made of metal and wood substrates by chemical etching technology, its individual elements are filled with high-quality colored enamel. This certificate may be extended nominal engraving that will make the prize even more important and expensive for the recipient. The cost of the diploma to-day Airborne - 390 UAH. Now you have a great opportunity to congratulate your friends, relatives and loved ones with a holiday Airborne! Picture of a shark, the most powerful marine predators describes a sharp wit, ingenuity and strength - those qualities of true fighters airborne. Soldiers-Marines are where the most dangerous, where necessary high level of combat and excellent physical fitness, self-sacrifice and courage. Therefore, the "Blue Berets" deserve special treatment, respect and admiration for their service.